Global Goals Week 2018 is a collective effort to maximize the value of events and activations held during the opening of the 73rd session of the UN General Assembly. Peace Boat and Ecoship will take part in different activities during Global Goals Week 2018 in New York. For the third year, United Nations and partners from around the world will come together to drive action, raise awareness and hold leaders to account in order to accelerate progress to the Sustainable Development Goals (SDGs), also known as the Global Goals. On Saturday 22, Peace Boat will take part in the Global People’s Summit, an event organized by the Humanity Lab Foundation in collaboration with the United Nations Office of Partnerships. This online summit will allow participants to join in from anywhere in the world, to watch the program, engage with speakers and follow conversations that are taking place online – all in one place. International Coordinator, Meri Joyce, will introduce Peace Boat’s activities in a talk called “Becoming a changemaker’. On Tuesday 25, the SDG Action Campaign will celebrate the third anniversary of the SDGs with a Global Day of Action. A live event on the Global Day from 1 to 2 pm EDT at the SDG Media Zone at the UN Headquarters will bridge these local actions with global conversations through live interventions from key actors, partners and stakeholders gathered in New York. Peace Boat’s founder and director, Yoshioka Tatsuya, will take part in this event. 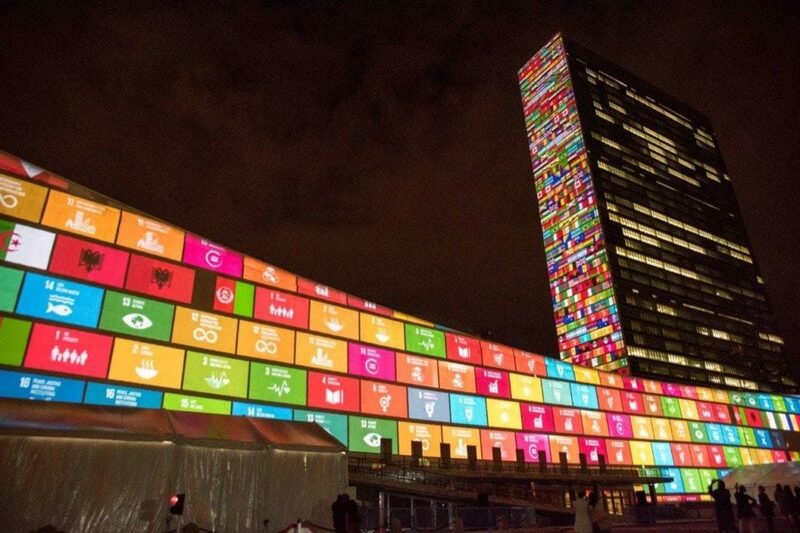 During the Global Goals Week, another major event will take place in New York: Climate Week. Taking place between September 24-30, in New York City, this is one of the key summits in the international calendar and has been driving climate action forward since it was first launched in 2009. To celebrate this week, on September 28, Peace Boat and Global Fashion Exchange (GFX) will co-host an event called ‘Global Partnerships for Climate Action’ at 777 United Nations Plaza. This event will highlight the importance of partnerships for transformation towards a more peaceful and sustainable society, and provide a networking opportunity for United Nations delegates, civil society, youth, artists, industry leaders, and the private sector. Peace Boat US director, Emilie McGlone, and the founder of GFX, Patrick Duffy, will participate in this event where Peace Boat’s Ocean and Climate Youth Ambassador Programme and Ecoship will be introduced. For this event, you can register here.